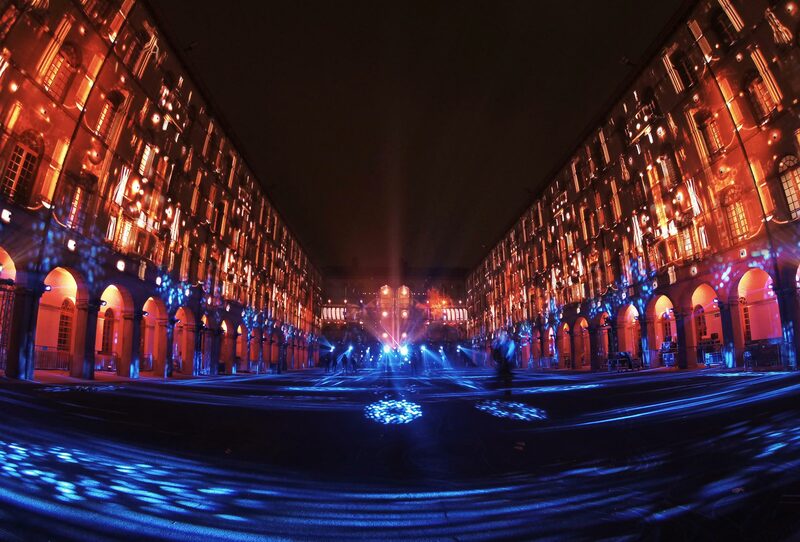 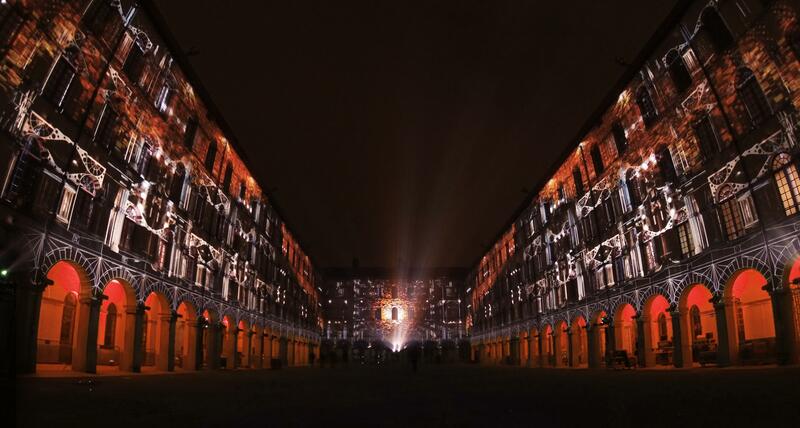 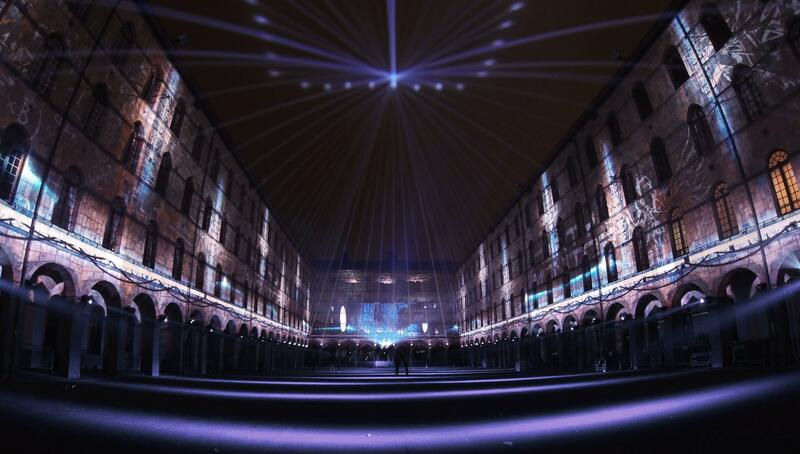 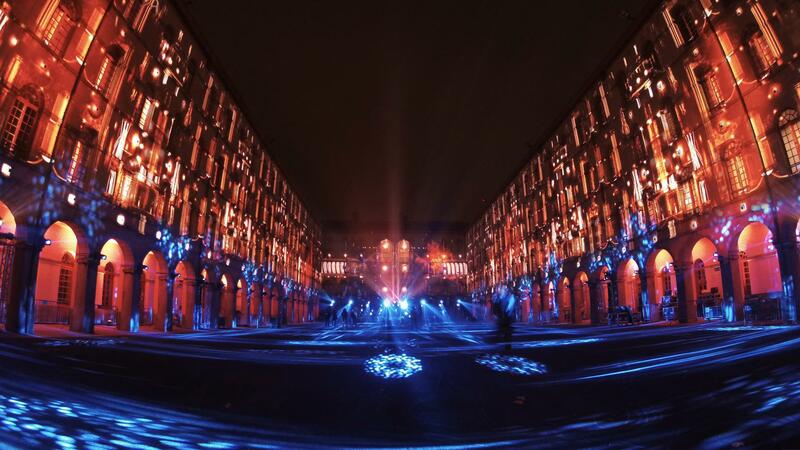 On the occasion of the Opening Ceremony of Mons 2015, the new European Capital of Culture, we proposed a sound and light performance that immersed the audience into the heart of the spectacle via a 360° video mapping in the courtyard of the « Carré des Arts ». 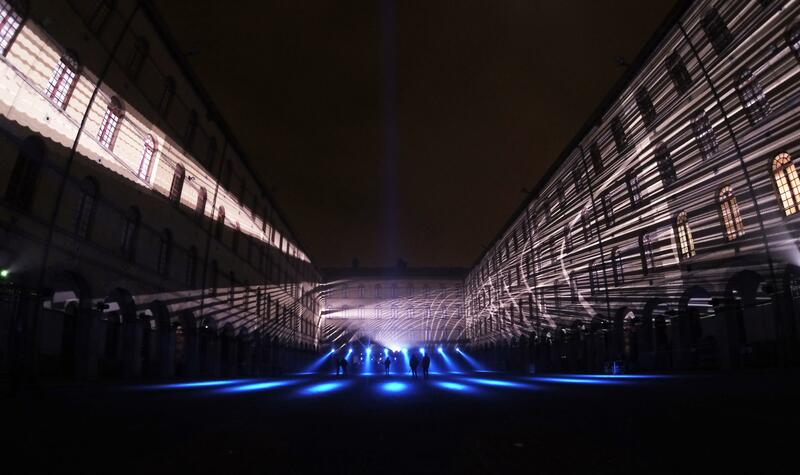 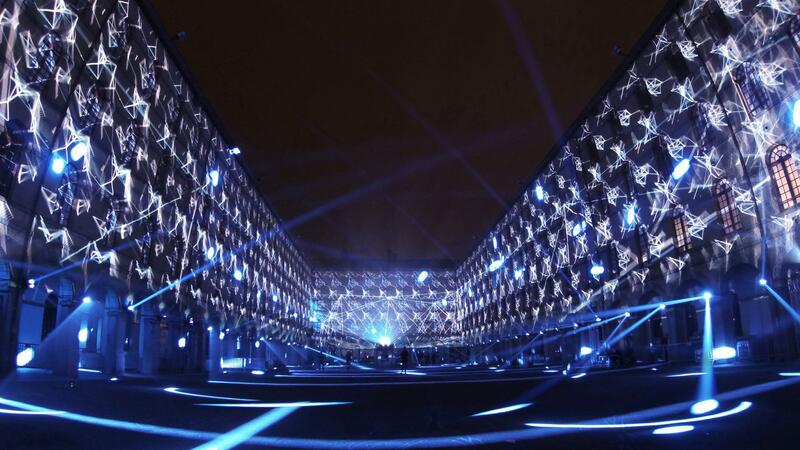 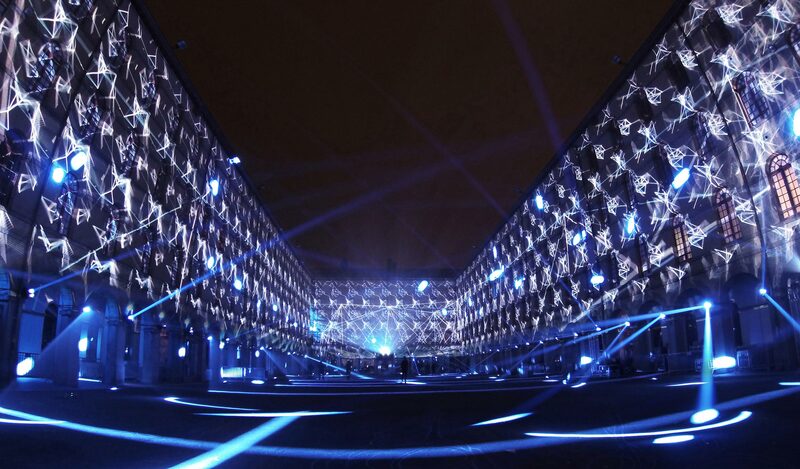 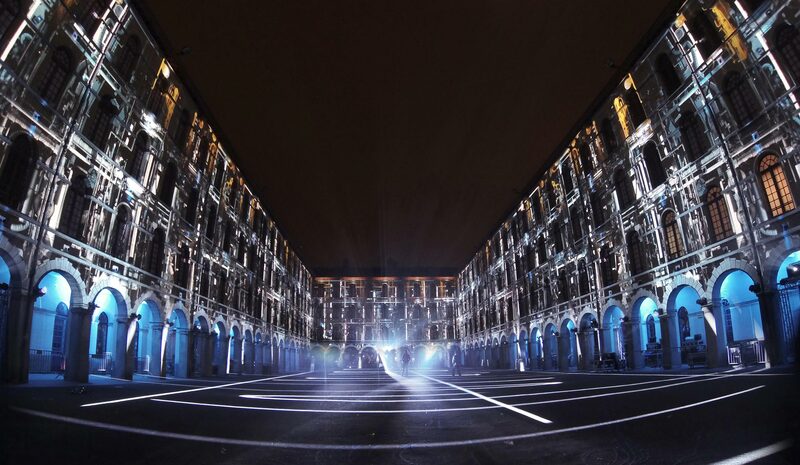 20 video projectors were used for a projection surface of 4400m2. 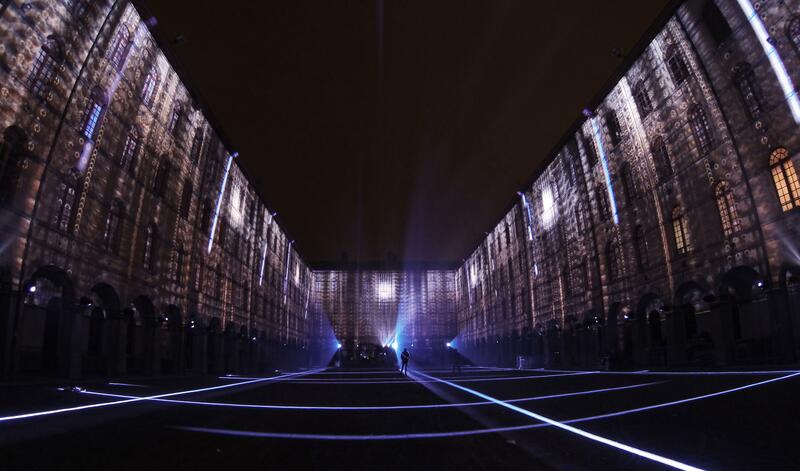 Our goal was to present our vision of the theme of Mons 2015: where technology meets culture.